The new Baumr-AG SGR750 Stump Grinder has landed and is already becoming the most demanded stump grinder on the Australian market! 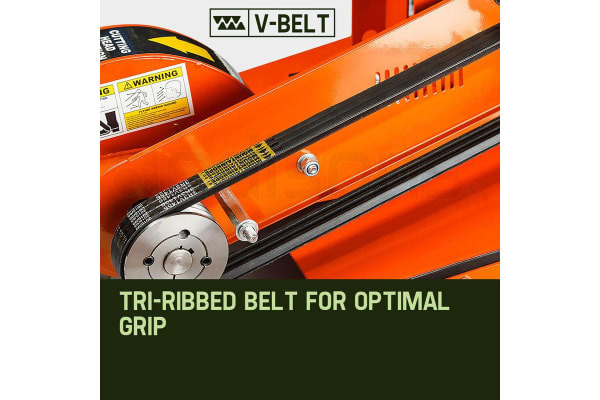 A must have for any tradesmen, commercial operator or business owner, this class-leading grinder is designed and engineered specifically for slicing unsightly or dangerous tree stumps and roots to up to 12 inches below ground level. 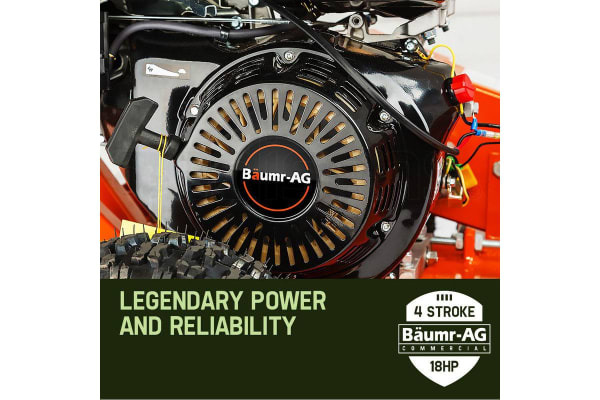 Baumr-AG’‘s 18hp Commercial Engine provides impressive cutting power and the ability to operate in tight working conditions. This top ranging machine also features 12 easily replaceable mining grade carbide-tipped teeth – this the same material used for drilling through bedrock! 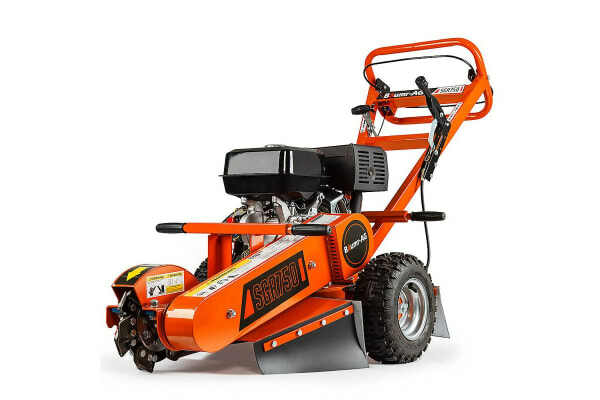 These short-neck cutters are configured for durability and smooth operation, and rotate at up to 4000rpm – reducing the stump and roots to mulch in a matter of minutes! Plus! The most important inclusion of all is Baumr-AG’s advanced centrifugal clutch system. We’ve checked up and found our cost cutting rivals do not have this vital component. The clutch system ensures that every chip shockwave is not sent through the engine’s crankshaft and other expensive componentry. 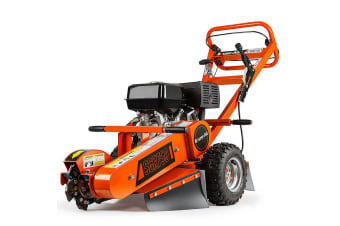 Make no mistake, Baumr-AG are the online industry leaders with unparalleled quality comparable to that of Red Roo stump grinders retailing for more than $5000 – a bold statement backed up by a 1 Year warranty. With the new series, extensive back up, consumables stocked and parts commonly available, there’s never been a better time to purchase this true contractor machine. Order the Baumr-AG SGR750 today! 12 x Mining grade carbide-tipped teeth – the same material used for drilling through bedrock – easily replaceable!